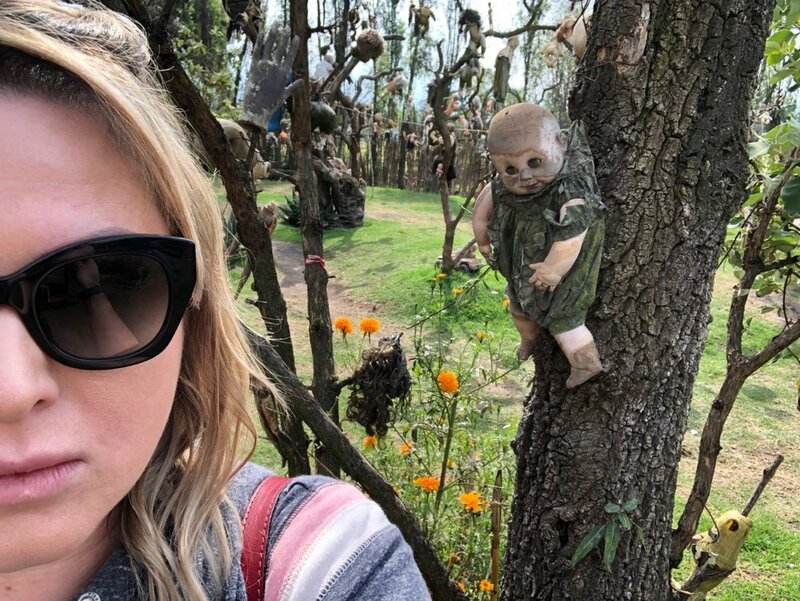 Ever the fan of all things weird, Isla de las Muñecas aka “Island of the Dolls” has been on my radar for a very long time. We struggled with the information (and lack thereof) online, but our dude, the Four Season’s concierge, came through for us. He drew up a map and jotted down some key points, but he also had rules. We were told in no uncertain terms that 1) We should not, under any circumstance, get into a car that isn’t an Uber or an official city taxi and 2) We were not to eat food sold at Xochimilco. 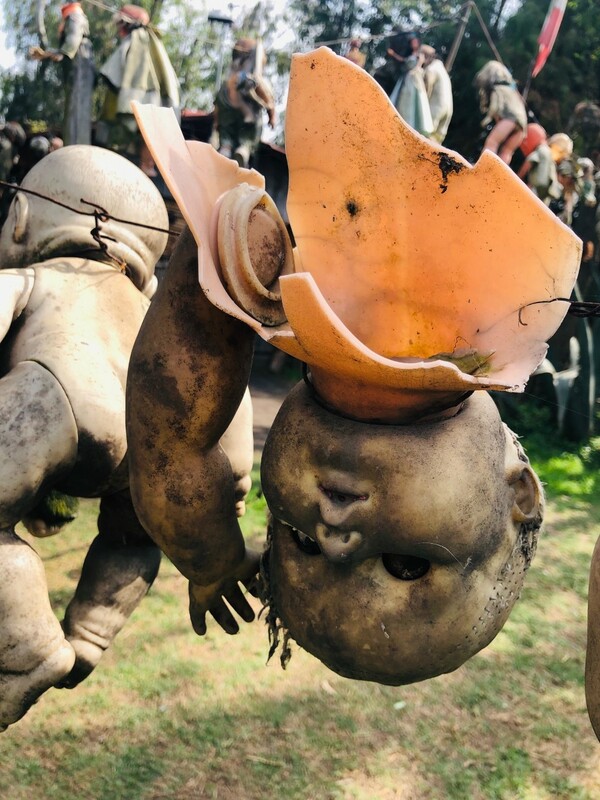 The Island of the Dolls is located off the famous canals of Xochimilco (pronounced “zo-chi-meel-ko”) in the southern part of Mexico City. Motorless human-powered boats known as trajineras, brightly painted and often named, are propelled via pole down the canals. 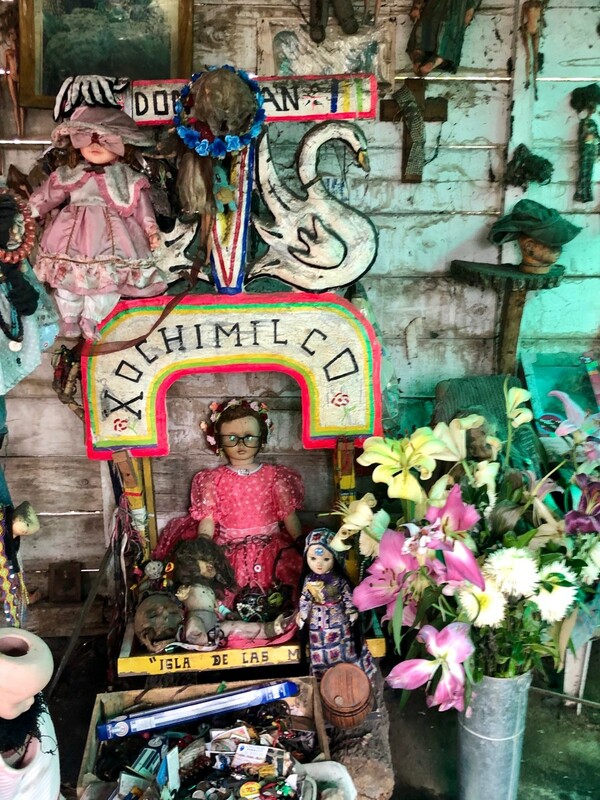 There are 11 docks in Xochimilco, the most popular being Embarcadero Nuevo Nativitas. But for the Doll Island, we were instructed to take a car to Embarcadero Cuemanco. Rates can be confusing and it might not be easy to get a straight answer, but generally $500 pesos an hour regardless of how many people (about $26 USD) is the going rate for your own private trajinera with operator. Let’s not mistake operator with tour guide, as we were assigned a man and his son who didn’t speak one word of English. We were not destined to become acquainted nor learn any extra facts about the canals. We paid $2,000 pesos (approx $104 USD) for a 4 hour roundtrip which would include a visit to The Island of the Dolls. Locals bring cases of beer, food, and music. It’s popular with Mexico City residents on the weekends and I’m told it can get quite crowded. We were here on a weekday morning and for the first half of the day, barely saw anyone. Each boat can seat up to 20, but ours was just Danny and I. Given the research I had done and the consultation with the hotel concierge, I didn’t blink when we cruised up next to a poor replica of the Doll Island. With the aid of Google Translate and lots of hand gestures, I explained that we were not interested in the fake Doll Island and would need to be taken to the original. It felt like a scam, but we were told we would need to pay another $100 pesos. 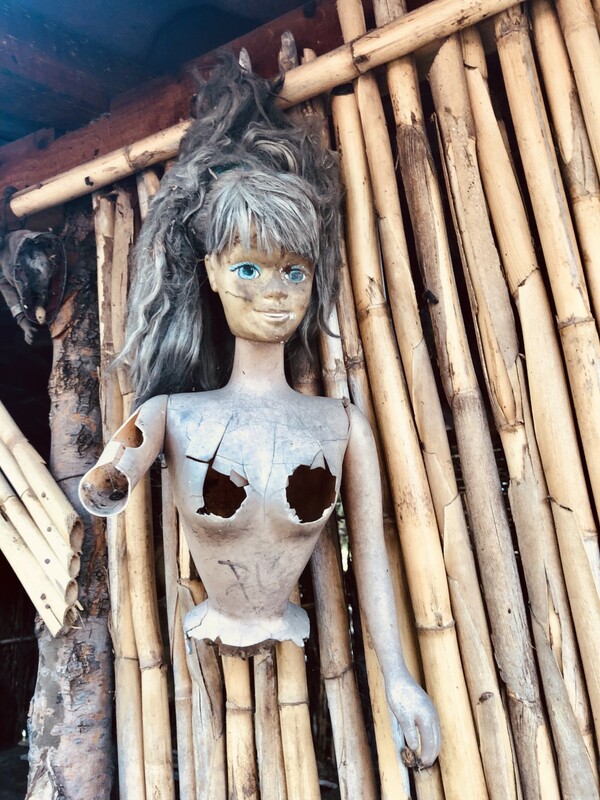 Just now I was scrolling through online reviews to compare my experience with others and a lot of people were lead unawares to the imposter doll island. If you want to shave an hour or so off your journey and take some weird pics, maybe the replica island will suffice. But to me, we had already come this far and the real island has the history and the story. So the story goes, a man by the name of Julián who lived on this island, found a young girl drowned in the waters of Xochimilco around 1950. 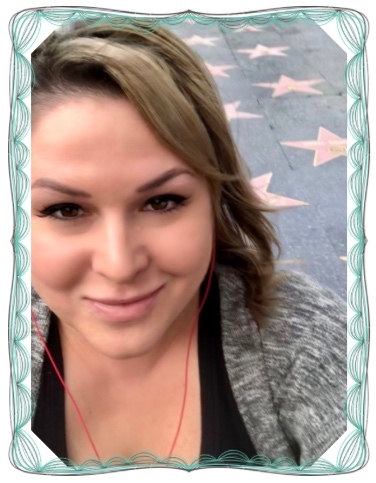 He was deeply affected by her premature death and his defeated efforts to save her. He began hanging dolls to protect him from the ghost of the little girl. 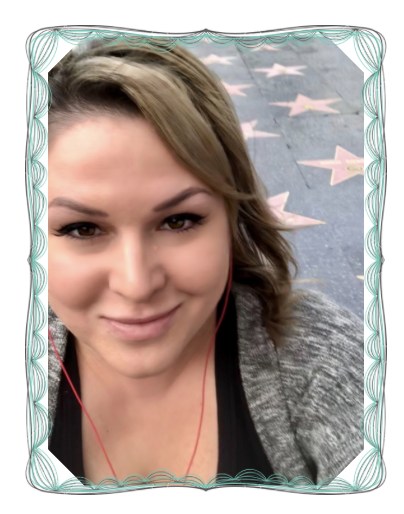 Then, in 2001 at the age of 86, Julián was standing in the water fishing, had a heart attack, and collapsed to his death in the same spot where he discovered the body of the girl all those years ago. Julián’s nephew Anastasio gave us a brief tour and generously allowed us to dawdle around the island. 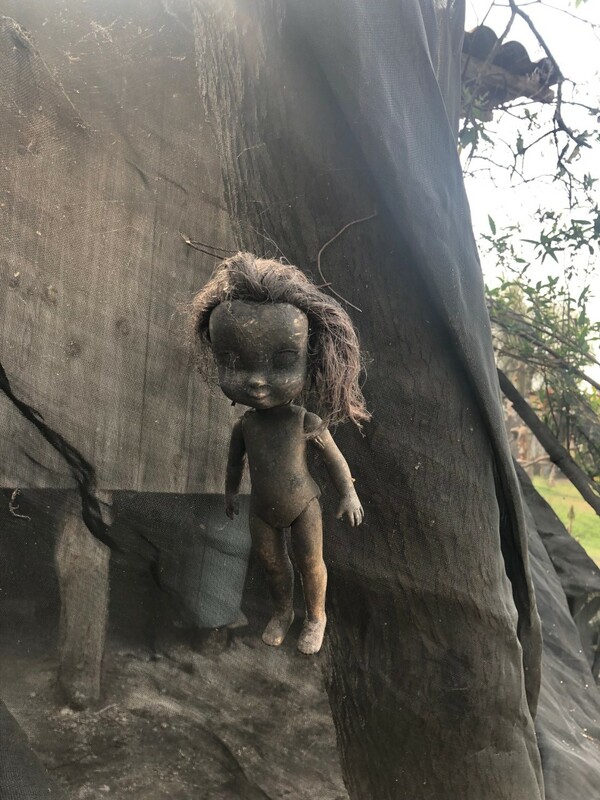 The dolls, the decay — they were haunting. Their expressions of doom and faux joy, looking at you like, “Other dolls get to play with kids! Why am I here? !” To say that the island is rustic is an understatement. Now it was time for the slo-mo cruise back to Embarcadero Cuemanco. 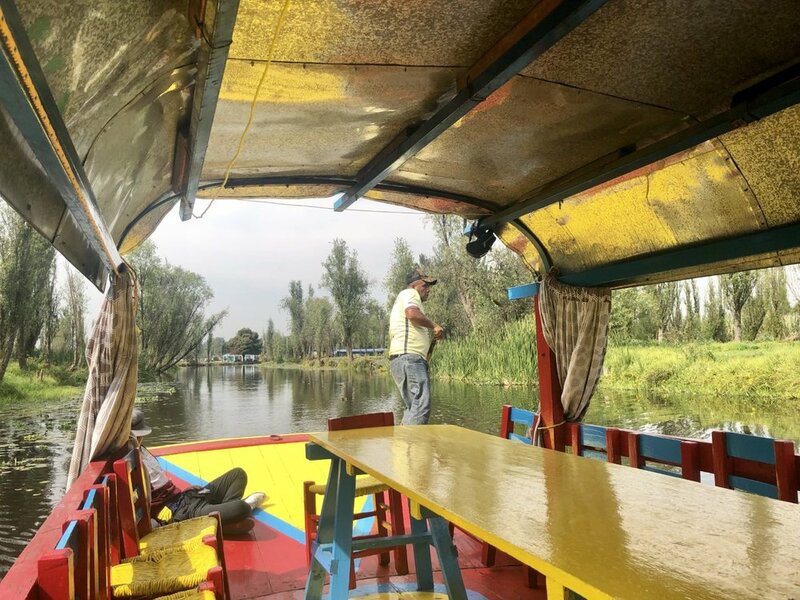 Xochimilco translates to “place where flowers grow” and it truly is a floating garden. The boat ride was largely silent, adding to an ominous vibe, with the occasional reminder of wildlife. It was serene and tranquil. And then a floating mariachi band showed up and jolted us back to Earth. Riding in the Uber on the way back to our hotel, Danny and I were spent. By the numbers, it was 2 hours roundtrip by car and 4 hours on the boat. It’s quite the commitment in order to witness the odd hobby of a lonely/crazy man. 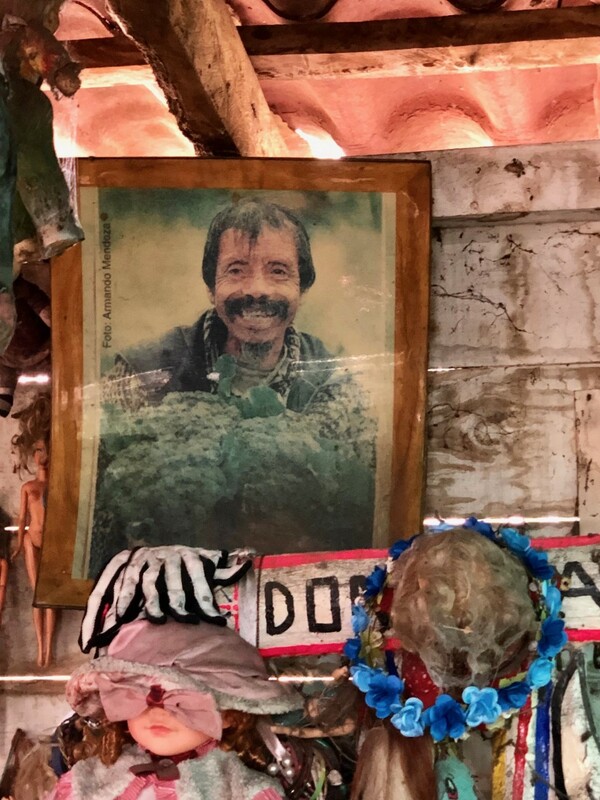 Julián never planned for this to be a tourist destination and the fact that it’s so remote makes it all the more weird. I can’t say that I’d recommend it to everyone (or even most people), but we were thrilled by the unusual adventure. And yes, I had nightmares that night.